With a simple yet functional design, this small table stand will work for just about any room in your home. Whether as a sofa end table, entryway centerpiece, home office or seasonal porch, you will surely find someplace to display this stand. The table features a simple design and bottom shelf in a dark cappuccino finish. With a sturdy base and surface space, this table is great for displaying flower vases, eccentric plants, photos or other keepsakes. 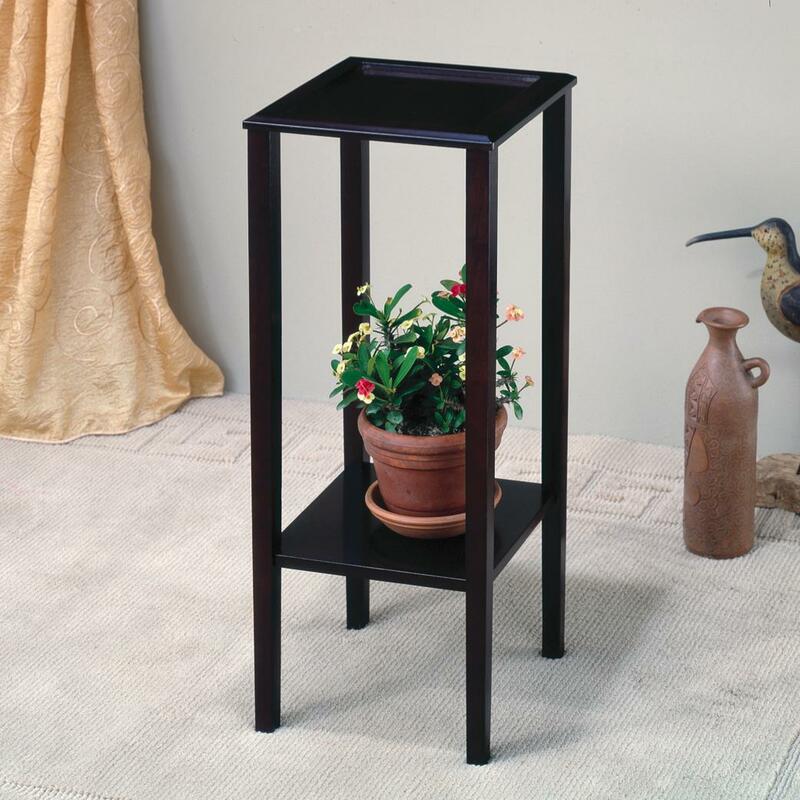 The Accent Stands Plant Stand with Bottom Shelf by Rooms Collection Two at Rooms Furniture in the Houston, Sugar Land, Katy, Missouri City, Texas area. Product availability may vary. Contact us for the most current availability on this product.